A great and fascinating game will always captivate the mind and give the player an incredible moment worth enjoying. 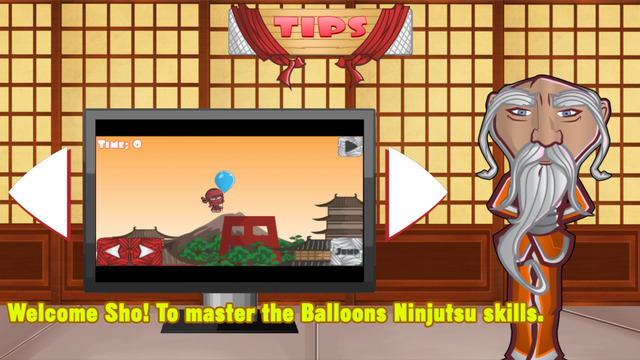 The game industry has received yet another fantastic app game referred to as Balloons Ninja. Created by Space Crescent LLC, this interesting game introduces the player to the world of ninja with the aim of proving skills and competence in game playing. This English-based game is still new in the market; it was actually released in the market on 24th March, 2016 and so far it has received a high positive rating (of 8.0) from its users. This clearly proves that Balloons Ninja app game is great in performance and in bringing high quality entertainment. To perfectly boost its efficiency, this app has been purposely design to operate in the iPad, iPod Touch and iPhone devices. Besides, it can also perform seamlessly on iOS 5.1.1 or any improved version of operating system. 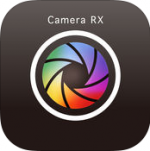 One can get this app for download on iTunes. 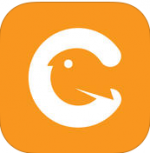 This fascinating app works in a very simple manner but really engaging. It requires great mastery of skills so that one can perfectly move across opponents to ultimately become a competent balloon ninja. At first, this game introduces character Sho. The player is required to expose this character to Balloons Ninjustu teachings; this involves making different jumps across balloons until the character makes a new record! Actually, the game is challenging especially due to the presence of rivals who bring distractions to prevent one from reaching the ultimate point. The player also needs to take note on Sumo who launches rapid attacks and may slow down the chances of one winning. This calls for the player to be wise enough and initiate creative tactics that will make it easy to become the balloon ninja. The game exposes the player to three scenes which include the Night, Evening and Day. 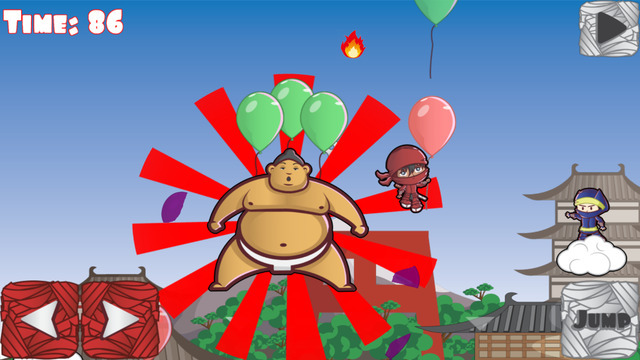 The quality of graphic effects incorporated is high making it to give a perfect display.. No matter what type of scene displayed, the player is required to maintain silent and move swiftly so as to eventually reach where Mr.Sensei is for approval as a balloon ninja. Also, one can apply the long jumps or even flying on the ninja. Apparently, one will realize that the game has properly integrated the social site like Twitter and Facebook. This allows the players to share their experiences with their friends in relation to different scores made. It is clear that this game app has been uniquely designed to meet the stipulated demands of the users. From the amazing graphics, great performance, and quality display and up to creativity, this is a clear indication of great product. One will realize that this game base its originality from the Japanese background. Thus the designers have perfectly introduced well-crafted art style which has put much focus on Japanese anime. This has made the game unique in its own way! 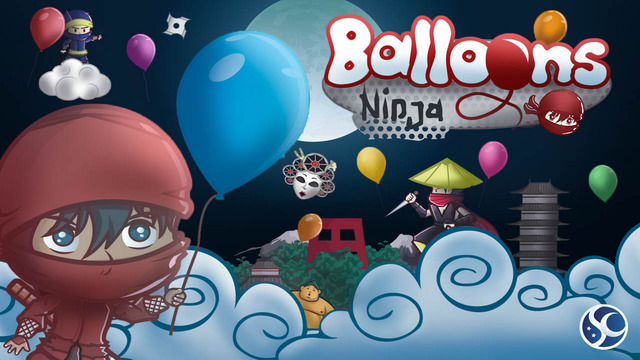 Interestingly, the support team has been quick to handle any issue related to this Balloons Ninja app. Any problem relating to debugging, updates and inconsistencies have been tackled well. This has made it remain efficient and exhibit great performance. In summary, this Balloons Ninja app has proven to be a really fun and interesting game (according to the reviews received). It is a game deemed to bring great satisfaction to its users with no disappointments at all. For any passionate game player, this game can be downloaded for free (size 33.3 MB) and experience unstoppable moment with it! 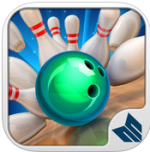 Bowl with Me – Exciting as HELL !